Beijing's Wangfujing Night Market, a popular tourist spot. One of the closest stalls in the photo sells barbecued scorpions. 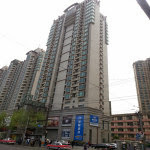 In traveling throughout China, I have been constantly surprised to find most hotels to be independently owned and managed and unaffiliated with known franchises. The higher end hotels (such as Peninsula, Swissotel, Raffles, Hyatt) are an exception, as they are particularly suited to serving Western travelers, but at this stage in China’s march towards prosperity, with its burgeoning middle class, the time seems ripe for major hotel companies to consolidate the remainder of the Chinese lodging industry, just as was done during the 1960s and 1970s in American history, when hotel names such as Hilton and Holiday Inn became commonplace. China has now reached a threshold in which leisure travel is taking off, presenting opportunities for mid-priced and economy hotel chains to gain market share. Meanwhile, the new Chinese leader, Xi Jinping, has spent the last year cracking down on wasteful spending by government workers, such as stays at 5-star hotels, and local governments have enacted similar restrictions, so far as to cause 56 5-star hotels to request that they be re-labeled as 4-star hotels. This should redirect much government and business travel into midscale hotels. Entrepreneurial forces have already been put to work to consolidate the midscale hotel market, as several Chinese companies have been building midscale hotel chains (in the 2 to 4 star range), achieving economies of scale, brand awareness and customer loyalty. These hotel chains are relatively new; none existed as a franchise before year 2003. The creation of a strong hotel brand adds great value to each such branded hotel because of central reservation systems and guest loyalty rewards programs (although the Internet has slightly eroded this value). 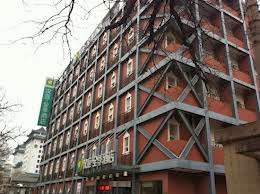 The most noticeable Chinese franchises are 7 Days Inns, a limited service chain similar to Super 8 (which is also common in China), Jinjiang Inns, a state-owned hotel company that covers the higher end of “midscale”, and Hua Zhu Hotels Group, an assemblage of several different brands such as Starway, Hi Inn and Hanting. Hua Zhu has particularly attracted attention recently because of its very rapid growth, surpassing Jinjiang Inns before 2010 to become China’s largest hotel chain. Hua Zhu Hotels Group had its IPO on NASDAQ in 2010 (as China Lodging Group) and has expanded its reach from 413 hotels at the time of its IPO to 1425 hotels today, with 152,879 rooms in all. China Lodging Group stock (symbol HTHT) opened on NASDAQ in 2010 at $13.50 per share and is now trading at $26.60 per share. There have been two days this month in which HTHT was listed on Yahoo Finance’s top 5 stocks “gaining on unusual volume”. 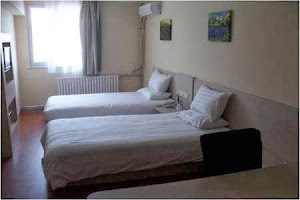 As of the 3rd quarter of 2013, average daily occupancy was 94%, average daily rate was 186 RMB ($30.74) and REVPAR (revenue per available room) was 175 RMB ($28.93). While these numbers are lower than those of 2010, Hua Zhu explains it is because they are shifting towards lower-tier cities in their expansion. Meanwhile, their frequent guest program is reported to have more than 13 million members, constituting 80% of room nights sold. Because the Hua Zhu brand is now so well established, Hua Zhu can now move from a business model in which most of their hotels were once leased and operated to a business model emphasizing managing and franchising, enabling Hua Zhu to expand its reach with much less capital and operations risk, much like the other most successful hotel franchises. 60% of their hotels are now managed and franchised vs. owned as leasehold. The recent dip in share price to $26.60 would indicate a price/earnings ratio of 28 for the trailing 12 months, but the first two quarters reported minimal earnings (mainly due to depreciation expense) despite strongly positive cash flows from operations, whereas the last two quarters had respective earnings of 39 cents per share and 50 cents per share, suggesting a much lower PE ratio based on forward earnings. The recent dip in price seems to be caused by a general overreaction to the most recently reported dip in PMI (from 50.5 to 49.6) in China. Even the Chinese internet stocks such as QIHU (down 10% after the report) and YY (down 7.4%) are behaving in similar fashion despite being unrelated to the manufacturing sector. Disclosure: I own this stock.